Which Way for Your Cloud Migration? Moving workloads to the cloud can be a complex decision. 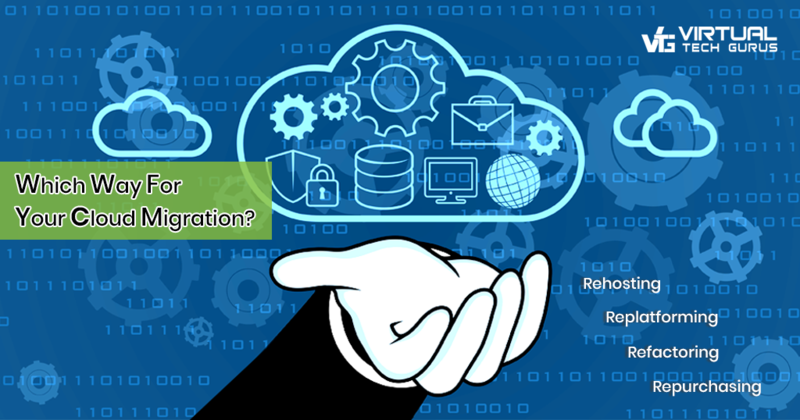 Do you choose public cloud, private cloud or a hybrid solution? Which workloads should you move, and which ones have priority? And, what’s the best approach for migration – rehosting, replatforming, refactoring or just repurchasing? Making the right decisions early in the process is critical to a migration that is successful in the short and long term. This article concentrates on the third set of decisions, although, in practice, all of the decisions are inter-related. Rehosting or ‘lift and shift’ as it’s commonly known is probably the simplest and fastest approach. Workloads are copied to a service provider’s infrastructure in the cloud, with minimal reconfiguration. This approach assumes that applications and their associated technologies are capable of being hosted in the cloud. Although rehosting is less resource intensive than alternative strategies, it does not offer the benefits of elasticity and scalability associated with cloud-native applications, which can limit longer-term gains. Replatforming moves the process on a stage. Applications run on a cloud provider’s infrastructure — similar in many ways to rehosting. However, the applications are modified or optimized to take advantage of cloud infrastructure to achieve greater scalability, for example, or other benefits. Although the process is slower than rehosting, developers can use their existing, familiar tools and code to carry out the modifications. That makes this approach less resource-intensive than refactoring, but it does not deliver the full benefits of cloud. Refactoring or re-architecting is a more fundamental approach to migration, and may be reserved for applications that are strategically important. Developers recode and re-architect existing applications to achieve greater performance, functionality or scalability when deployed on a service provider’s platform-as-a-service offering. The resource-intensive development process is much slower and it requires developers to learn new techniques, rather than use familiar tools and processes. However, it delivers benefits similar to those of a cloud-native solution and may therefore represent a better return on development investment. The availability of sophisticated, feature-rich commercial applications means that businesses can choose to bypass the development route and purchase a cloud-based application that matches or exceeds their needs. That may mean losing some of the customizations in existing legacy applications, but the scalability and mobility benefits of a cloud-native application may outweigh that factor. While considering the repurchasing options, businesses should also review the value and usage of other applications. They may find that usage levels are extremely low, in which case the application can be retired, reducing maintenance costs at the same time. Choosing the right migration approach can be a complex task, but professional support is available. Cloud specialists such as VTG can provide consulting services that can help you develop the right cloud strategy and create a plan that covers all the requirements of your chosen platform. If you would like to know more about our cloud and migration services, please check out the articles and infographics on our website.